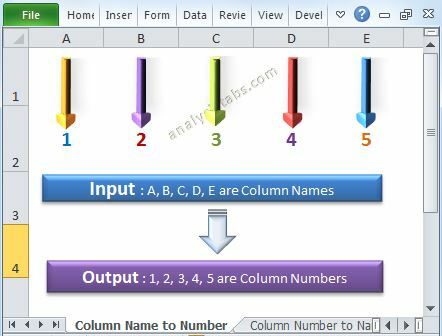 ADO Excel VBA – SQL Connecting to Database Example Macros helps to connect the different data sources from Excel VBA. Select, Delete,Update Records set. Database (DB) is a collection of information organized in such a way that a computer program can easily understand and read the data. And the Database Management System (DBMS) are designed to understand and interact with other computer applications to perform the different operations on the data. MySQL, Microsoft SQL Server, Microsoft Access, Oracle, and IBM DB2 are some of the well know DBMS. Generally the information stored in the data in the form of tables, and a table is designed with set of records (rows) and fields (columns). 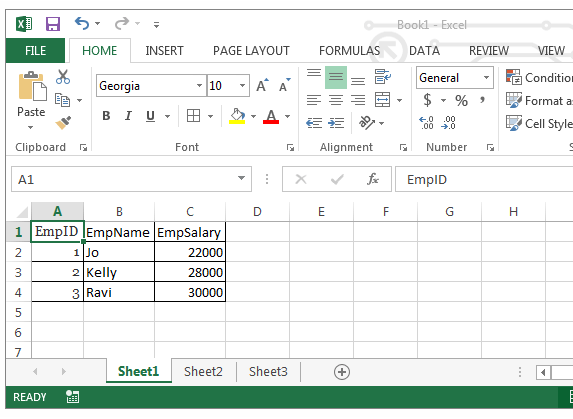 You can use Microsoft Excel to store some data, where an Excel workbook will act as a data source, worksheet will be a table and the rows and the columns of the worksheet will be records and the fields of the table. 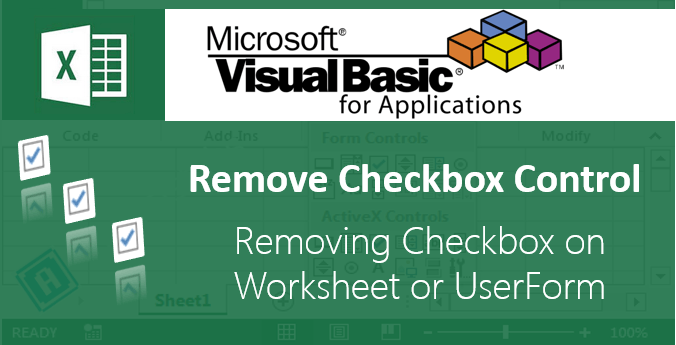 We will consider the Excel workbook as data source and we will connect to the worksheet (table) to retrieve the data. In this example we will get the data from Sheet1 to Sheet2 using ADO. Assuming you have an excel workbook with the following data in Sheet1, as shown below. 1. Go to VBE (Alt+F11) and Select References.. from Tools Menu. 2. Then select ” Microsoft Activex Data Objects Library” from the list. Assuming you have data at A1 as “1st,2nd,3rd,4th” and you want to separate it. You can use Split function to separate the values. Please see the following code. Please explain your question in more detailed,so that I can help you in better way. 1. Do you have to install the ActiveX Object library 2.8 on every machine that uses this Excel file? I ask because I need to set up multiple files for multiple users who could benefit from this functinality (ADODB + SQL queries vs. Linked spreadsheets). 2. Do you know how to create an auto-install program for these MS library features? I ask because I don’t prefer to guide every user through the installation procedure. 1.You do not required to install ActiveX Object library in every machine, by default it is installed when user have installed in MS Office. To help you in understanding clearly: ActiveX Object Library is .DLL file which is installed with your office installation. 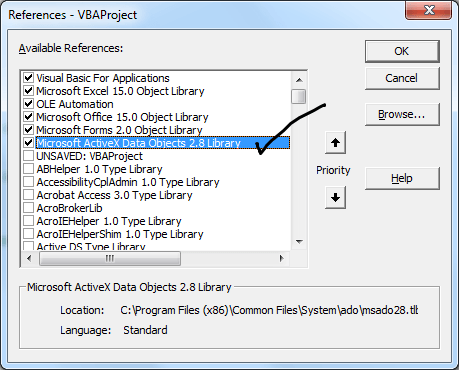 You need to this reference this in your code, to use the ADO functionality in Excel VBA. When you successfully write any code using ADO by referring ActiveX Object Library in your workbook. You can send the file to any one, it should work automatically in any system. You are awesome , i love this site.have used your ideas and has helped me a lot. love it..
2) transpose them into a cell and use these values to pull another query record-set with the IN statement. is there a way to do this in one connection only or open another connection.? How are you doing! Thanks for your feedback! Step3: Now executed and got the required values in the ADO sheet. This is working nicely. The only thing that I cannot appear to fix is that when one user has the source file open (from which the data comes from) the other user, who is using the destination file (where the data is pulled to), opens a read-only source file when they run the macro. Is there a way round this? I used this code to connect to MS Access 2007 database but am getting a runtime error and an application error when I try to open the same. I used DSN as MS Access Database and Provider as Microsoft.ACE.OLEDB.12.0. If you are still facing the issue – try to use the MSDASQL provider. This is very well explained, if this had been available when I was first learning it would have save me loads of time. Do you have something similar on how to insert into SQL tables from excel? Hi Noz, Thanks for your comments! and comment the below line, as insert query will not return any values. sSQLSting = "INSERT INTO [DataSheet$](Quarter, Sales) Values(2,5000)"
Really, this webpage is very useful, thanks for your efforts. Instead of figures (2 & 5000) at ‘Values(2,500)’ how can use variables or cells from active sheet? You need to form the string as per your requirement. sSQLSting = “INSERT INTO [DataSheet$](Quarter, Sales) Values(2,5000)”. sSQLSting = “INSERT INTO [DataSheet$](Quarter, Sales) Values(" &Range("A1") &"," &Range("A2") &")”. hello, this really helps when you have a simple query.. would you be kind enough to provide an example for a parameter query (multiple) i.e for dates say selct* from table data between fromDate and toDate? Sure, you change the query to suits your requirement. I have changed the query sting from sSQLSting = “SELECT * From [DataSheet$]” to sSQLSting = “SELECT * From [DataSheet$] Where Quarter Between 2 And 4” in the example file. And now it will pull the data if the quarter is between 2 and 4. If Dates creates any problems, try to use date values. “O.DELIVERY_DATE BETWEEN :”From date” AND :”To Date” ) . how do i setup the parameters in vba to ensure that the record-set only pulls data in ‘DD-MMM-YYYY’ format. right now i have the dates converted to text(“dd-mmm-yyyy”) but when the data is returned its shows up in ‘mm/ddd/yyyy’ . note :i have the user to input the dates..
And your excel, default date format is ‘mm/ddd/yyyy’, you can format the dates using either sql or VBA. I could not find any issue in the code. As per the Error message, something wrong with the query string. Could you please provide me the complete query string. Or you can try this: You can use Debug.Print YourstrQery, now look into the Immediate Window to see the resulted query. Hello, very good site .. quick question do you have an example for record-sets and Pivot tables or cross-tabs.? i have an issue which I am trying to merge two query’s into one record-set and Pivot them into a cross report? please direct in a right direction if this is doable??? sSQLSting = "SELECT * From [DataSheet$]"
I would like to automate my daily process by using VBA and macro actually my doubt is there any solution for instead of copying and pasting the query statement to SSMS 2005 which is stored in excel.So by making that statements as link or by clicking some command buttons to pass that query to SSMS and thus the statement should be executed automatically by using ODBC conn or OLEDB data sources. Is it Possible ??? Yes – we can do this. You can simply record a macro and fetch the data using tools in Data menu tab. I am very glad that I visited this website and would like thank you for giving such valuable info. I have one question in VBA while using ADO and database as excel how we can use where condition and other query on excel sheet like below example of this website. Here is only select condition used. Please help me how we can use different SQL condition. Another question how we can connect to MYsql database using VBA? Please help me in the above questions and thanks a ton in advannce. Please check the codes provided in the comments section, I have given the example queries which you have mentioned. And replace [Server], [Database], [UserName] and [Password] with the respective original server name, database, User and Password. Thanks your previous example works perfectly. would you be able to help with multiple record sets. I need to add the second query record-set in between the data of the first record set after exporting to sheet. I need to combine two record sets as I cannot put them in one query due to the data constraints. please let me know if this is possible.. Question: how can i get the data from different ‘sourcerange’ from within one sheet i.e multiple columns? i fixed the issue.,, this was more to do with my query itself. i managed to fix this within the first query itself. no need for multiple queries. however please provide an example for multiple record-sets if possible.. But I want to filter it based on Acrive sheet name. I tried two methods but it is prompting same Run time error. Please cound you advise me how I can do this..
is there a way to send parameters(through InputBox/MsgBox) using Select statement and extracting user specific data into excel using ADO. Yes, you can use Inputbox to enter some parameters and change the query accordingly. Please let me know if you are pulling data from excel , is this code using sql while retrieving data ? because this is not connecting to server. waiting for your response. thanks in advance. Yes, we are pulling the data from Excel using ADO. You need to change the connection string if you are connecting any other DB. We need to create a connection string to connect any data base using VBA. Provider=MSDASQL.1 : This is OLEDB Provider, this helps excel to understand the data base query syntax. DSN=Excel Files : Data Source Name, Excel Files is data source in the given example. DBQ= &DBPath : Data base file path, this is the full path of Excel File to connect. HDR=Yes’: Headers, Yes – if the first line of your data (in sheet or range) having headers, other wise No. Mr.Rao thanks for your timely help:) 🙂 Customized ur code and it works well..
You can use the table name directly: sSQLSting = “SELECT * FROM BD_X”. 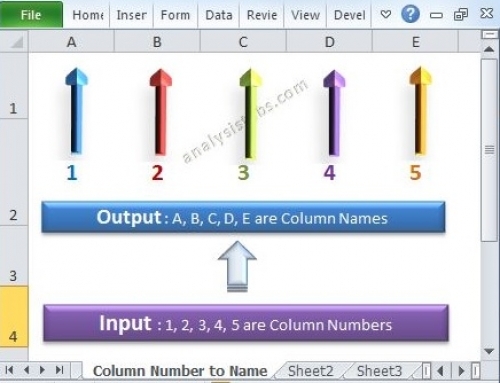 If you want to refer Excel sheet as table then it will be like [BD_X$], if you connect any data base like MS Access, MS SQL Server, Oracle or Teradata you can use the table name. I am in between developing a small project for the place I work at. Currently I am helping out the call center gang with automating their reports. They obtain it in the form of an excel file with 97 format, which means each sheet is limited to 65535 rows only. I have completely automated this report into various pivot format for them per their requirement using Excel VBA. However the code is slow to about 10 seconds. There are many data analysis involved like filtering out the blanks off 2 columns, unwanted rows from another and pivoting them to obtain 4 reports using different criteria each. I am talking about 260000+ records analyzed to about 72000+ actual meaningful data for the report. Now, I thought maybe ADO could work out the trick more efficiently and faster. I have worked with ADO before in access/excel and know how to on the basics of connection etc. 1) Is the ADO method faster than using excel automation via variant and/or range methods combined with loops? 2) How do I append data from 4 sheets into 1 recordset to later analyze it with various select statements? Do I have to use an append query to obtain data from each sheets? If so, let me know how the query would look. Note: What I am thinking of doing is to completely do the required data manipulations within ADODB recordset and insert the manipulated data into a new sheet in Excel 8 format. Also, to run queries and to obtain the reports required from these manipulated data and again insert sheets into excel form query object. Could you kindly guide me into the various steps I need to be looking at to achieve these goals. PivotTable is better than ADO, if your customers use Excel 2010 or higher. And to combine the Data into one record set, you query all data into one record set using UNIONs. One thing that is not working at my end is changing HDR=No’; … this code is not giving me the header which is required. I tried with for loop which is working in that case , just wanted to know if how would HDR would work. The usage of HDR is to tell the ADO whether your data has headers or not. HDR= Yes means: You have the data and the first row is having headers and data starts from the next row. HDR= No means: Your data has no header row and and data the data starts from the first row. This code is working fine , but I am not able to get the header eve after making HDR =No . This is a great & Nice Information! 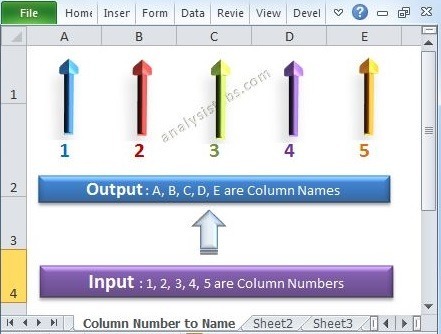 Question: how can i get the data from Oracle Database, currently I use SQL Developer to query and store the result in excel and process it later, but since the number of individual sqls increased i’m looking for something like this and if you can help me in this regard, it would be great. i would like to connect to PL/SQL developer from MS Excel and fetch the records from it and copy to the excel sheet. The query i want to execute is ‘SELECT * FROM TABLE_NAME’. Please let me know the connection string to use. I am trying to pull data from SQL Server 2012 using excel VBA Code but it is showing that SQL Sever is not exit or access is denied. Please let me know how to do so. It will be a great help. Is it possible to join 2 tables from separate databases in an SQL query within Excel VBA? I am currently extracting data from a table in a Firebird database but need to access data from records form a table in another Firebird database. The results of the query are used as input to a case statement that totals and dumps data into a worksheet. I can do this in Access since I link to the tables as required, can I have 2 connections open at once in Excel? Amazing Website…………..Thank you for giving me proper information. With help of this website, i have entered the insert query & it is properly working but on this “mrs.Open sSQLSting, Conn” statement getting errors ‘Run-Time Error 3704’. Please help on this..I appreciated. mrs.Open sSQLSting, Conn ‘ Getting error message on this line, but record is properly inserted in to SQL database. Hi recordset stores the result in array form, when using select a view/output is getting stored.but using insert there is no output, it will process the query and store data in mentioned table. Hope you get the logic. I have a query. While uploading data to SQL, if i try to download data from SQL using excal vba it is failing and throwing error.Do we have any wayt to handle mulitple calls in SQL using VBA…. An really confused shud it be done at vba end or SQL end? This thread has been very helpful in getting going. However, there is one problem. I am using an ODBC driver talking to Google big query but I imagine this problem I have could be relevant to any DBMS connection that has it’s own SQL variant. The key requirement for me is to be able to pass the NATIVE SQL code that the DBMS supports rather than being forced into submitting ANSI SQL which very limiting. I’m using a driver that is meant to supports both. When I run the code, it only assigns data from row 2 to row 5 to the array. What am I doing wrong? i want to copy only specific cells range. You can delete the table using TRUNCATE or Drop statement if have full permissions. Warning: If you use the below statement, you will loss the entire table and you can not roll back. I need VBA & SQL learning material because i don’t have knowledge in VBA but i have knowledge in MS Office(Advance excel..). Any one please send to my email. I found no issues in your code. Please send your file with some dummy data. So that we can help you to solve your issue. Please make sure that the field names are correct. I could not find any issue in the Sachin’s query. the code is working but I am retrieving in Sheets(1) just 54’816 lines on 575’000 present in Sheets(2). How about Dbf files?what string/connection code? I want to access the info of memory usage of production database in my excel sheet. can anyone help me with vba. I want to get a notification automatically when a file is copied in a folder. Can this be done by VBA macro ? I am able to execute query from VBA on my DB2. But sometime I need to abort query because of DB conjunction. Please suggest me way to abort query , if executed through VBA. Try to connect in a blank New workbook and after connection is established then copy the original sheet into this new workseets. The code you gave worked! I am really kinda new to this old VBA stuff. My problem is it opens on a new sheet in a new workbook. How can I have the data displayed on an existing sheet with existing columns? Thank you in advance for your help PN. Hi PN – Your site has awesome content and I am hoping you can resolve my query. I have a MySQL database and I have connect it to excel using VBA on the local machine. Now I want to give the same excel file as an input/output mechanism to all the users to interact with the database installed on my computer. All the users are in a network. Any help would be greatly appreciated. Solution 1: You can create new database in any server and export the local database into server and change the connection string. 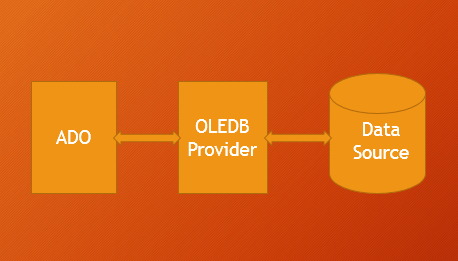 All your user need to have MySQL OLEDB Provider in their PCs. Solution 2. You can export to MS Access database and change the connection string. For this your user do not required to install any additional Provider. StrSQL=”SELECT * FROM [Shee1$] MINUS SELECT * FROM [Sheet2$] is not getting executed. I would query to the first worksheet of selected workbook through navigate to the workbook location and user select it( I used worksheets(1) but can not successful), can you show me a sample how to assign this parameter of worksheets(1) to the vba query? This paragraph ցives ϲlear idea in support οf the new users. Am trying to run sql Analysis query in excel macro . Can you please help me . Very helpful page, thank you. I have managed to use a select query to retreive data from a second sheet however I am wanting to update data in a sheet using this method. I have changed the sSQLSting to an update query which appears to run but the data does not update. Could I please trouble you for a simple example of how to update a cell value? Sorry for wasting your time with my first message, was a pretty simple mistake in the end. When I try to put this into the sSQLSting it errors. Can you please help me out. Question: I have a header where it has been merge with under a 3 column, is it possible to call the sub column? Thanks! I have a spreadsheet with an Excel Table named Table1 with two Columns named Quarter and Sales. The Table has say 4 rows of data beneath the header. Then there is more data in the rows below the table which is not part of the table. How do I copy only the data in the Table rows? Copied all the data in the two columns including the data outside the Table. I am trying to set up a connection to MySQL and came across this example. I applied the code to my own file. But what i can not seem to figure out is why the file does not take the values you write in A1, A2 etc. where in the code do you tell the code to skip the first line? This is precisely what i was searching for..Thanks a Ton. One question please….Here we saw fetching data from a spreadsheet using ADO. Can we write data from a User interface,like a form (in Spreadsheet A) to a Database (Spreadsheet B) using ADO ? Please can you point me to where can I get more info on this. All the best with your efforts. God bless ! I have made a connection with a dbf file with VBA this works great, but is it also possible to open multiple dbf files en join them in the SQL? Iám trying hard but can’t figure it out. I want to fetch records from a database. How to do that? I have read only access to that database. i want a code to update a table in a database. when we click command button in vba? hi, i couldn’t download the example file, seems the linkage was corrupted. Really helpful blog, I am encountering an error when I tried to use Like operator in my sql statement. There are records in the sheet titled ‘Table2’, which have Cust_ID not present in column Cust_ID in the sheet titled ‘Table1’ (e.g. 110, 117). Can you write an Excel VBA program that transfers the data in these sheets to 2 separate tables in Access DB, runs the appropriate query and provides the list of unmatched records from ‘Table2’? Please use ADO method for database connectivity. The program should execute on clicking a button in Excel and output should comprise of unmatched records displayed in a new Excel sheet. Thanks- We have fixed the download link. Any one can help me with using variables in update command? in the above example, update is used only with exact number which will not be the case for real time situation. We need a variable that takes values from the user form. Damn… I’ve been trying so hard to learn this, but nothing ever seems to work. I activated the 2.8 library something, so I dont know what could be going wrong. Also, every source I look for to study gives me a completely different macro example, so I can’t even compare them to better understand the coding. When I do find good content to learn SQL from, it doesnt seem to be related to excel vba, so it doesnt help me all that much. Could you let me know if we can connect a macro to the server and get the information from the log files. And if yes , then could you let me know how we could connect to the server. Do you have experience to use RANK() OVER(PARTITION BY) function by ADODB connection? I need to rank first and output them. 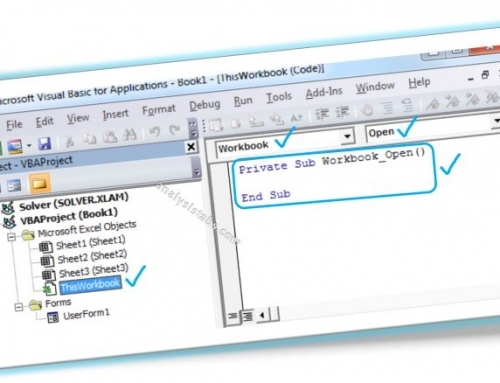 New to using VBA & ADO , I wish to use a similar code that uses an input-box to pull through the relevant input from a closed workbook to my current active workbook, is this possible? Thanks!! for the valuable information!! Very nice Article. I have one query in this that I have one column which has number as well as text and I found one thing that vb query that declare the fields type as Number and it will not show Text values. So is it possible to import all the fields with data type as a string because string can capture both number as well as text. While I run my code it is showing automation error. Can you please etell me why is it so occuring.. tell me the solutio n for the same. when the Excel file is opened read-only, the sql query (with both providers MSDASQL and Microsoft.Jet.OLEDB) does not return any results. Any ideas how to overcome this, maybe using additional parameters? Information provided by you in your website is excellent. I customised this code to postgresql,but getting an Run-Time error object required: 424.Can you please help me with this error. How to update closed workbook using ADO? How do I use where statement and group by?? I have insert code but show the error. I have insert data in offline Excel File & Same Update Data Combobox1 and TextBox1 only Number accept. not Text. I read date from db file but can not read full data. Hi PN, thank you for this material. 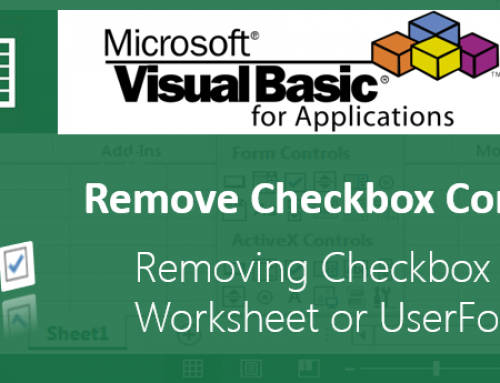 it is very educative especially for a person who is beginner in VBA like me. I am apologizing in advance, cause this question might seem very beginner for you, but I am in my first steps with VBA.